I absolutely love giving people flowers, however I sometimes feel like there is something a little unoriginal about them? 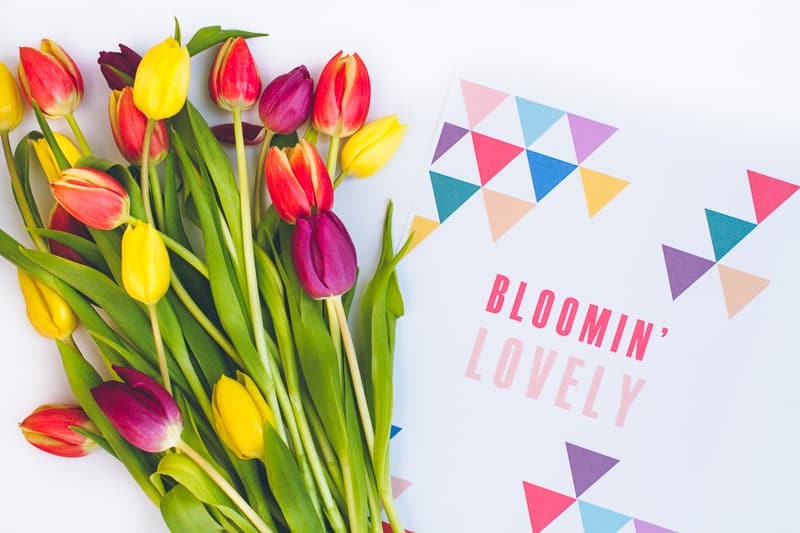 So we have been searching for a way to make them a little bit more personal and what better way than with a cute little message to tell your recipient just how ‘Bloomin’ Lovely’ you think they are! Whether you give flowers as a thank you gift, a birthday present or just….because…? This floral wrap is a sure fire way to make your gesture that little bit more personal, all you need to do is download & Print.